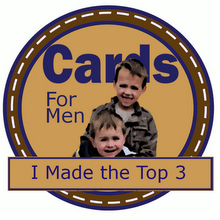 This is a card my SIL asked me to make for a wedding she has to attend in October. 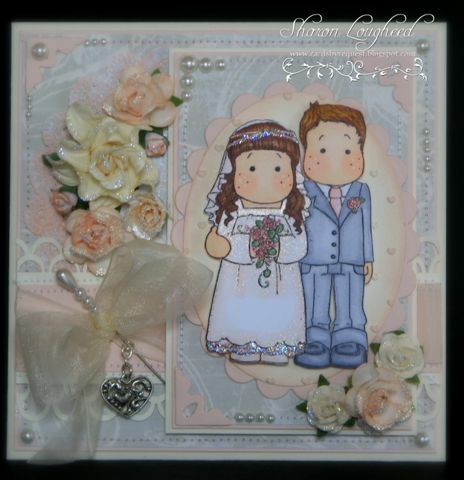 I've used an Ivory Bazzill Base Card along with Stampin Up Blush Blossom and a Pattern Paper by Mellissa Frances. All of the panels have been stitched on the sewing machine and some have been popped up on foam dots. I have coloured my image with copic pens and used the clear spica pen over Tilda's Veil and the tinted part of her dress. I added stickles to some of the flowers and the bottom of Tilda's Dress and Headband. Some of the flowers already came covered with sparkles. 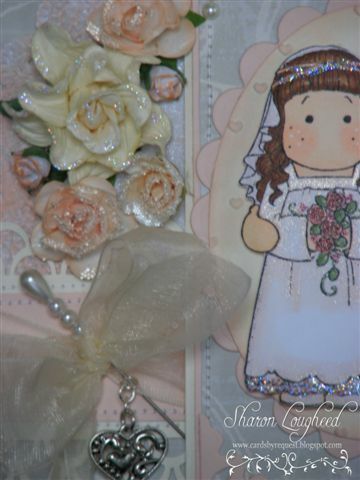 As you can see in the pic above a charm, pin, ribbon, flowers and pearls complete the card. 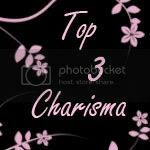 Thanks for stopping by ~ have a great day! Oh Sharon!! It is so delicate and romantic! 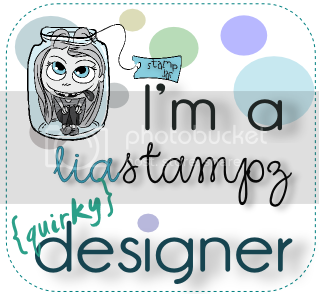 I love the tiny embossed hearts and the beautiful pin! oh - and all of those pearls!! Gorgeous! Hi this is a very pretty card, I love your flowers. Thanks for joining us at CES Challenge. 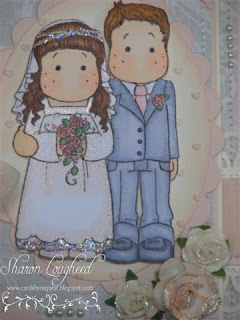 Gorgeous card Sharon, sweet magnolia couple and colours. Beautiful card Sharon,I love the image and your papers. Very sweet wedding card! I like the soft colors and all the layers. Great coloring job on that fun image. I adore the touches of sparkle you've added. Thanks for sharing with us at TSTR. 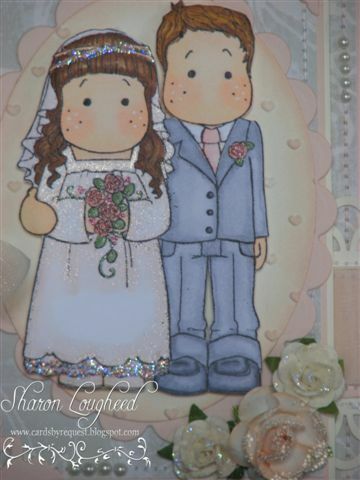 Sharon what a beautiful wedding card hun! Love all of the bling and sparkle you have added to this gorgeous Maggie couple! thanks for joining us at WOC! What a beautiful card..love the coloring and the details..just gorgeous. Thanks for joining us at Papertake Weekly!